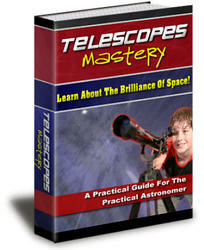 The advent of optical spectroscopy revolutionised astronomy in the mid-nineteenth century. For the first time, astronomers were placed in a position where they could probe the nature of stellar material. This ability was enhanced greatly when photography was used to record stellar spectra for relatively leisurely inspection, rather than relying on fleeting impressions made at dead of night under strained physiological conditions. Hearnshaw [H3] ably describes the early development of stellar spectroscopy and its transformation into a semi-exact science. From the outset it was clear that there is order in the way that stars behave: patterns amongst the various spectral features allowed certain stars to be grouped together. In 1864, Secchi, in the first serious attempt at spectral classification, placed stars under three headings: types I, II and III. Type III objects were 'coloured' stars with wide absorption bands in their spectrum, but it was not until 19O4 that Fowler [F3] identified these spectral features as due to either the metal titanium or a compound containing titanium. Nonetheless, titanium oxide absorption bands - the defining feature of M stars - were clearly distinguished at the outset. All of the early classification systems ordered stars from blue to red, reflecting the suspicion first voiced in 1874 by Vogel that this represented a scale of decreasing temperature, and perhaps an evolutionary sequence. A relatively small number of researchers - including Lockyer and (at least initially) Hale - argued that changes in the relative strengths of different absorption features (line-blanketing) was the primary cause of both spectral and colour variations. It was not until 1909 that Wilsing and Scheiner [W2] demonstrated conclusively that O-type and M-type stars did indeed lie at opposite extremes in the stellar temperature scale (see [H3] for a more extensive review). The origination of the designation 'type M' lies with the scheme - devised at Harvard, by Mrs W. P. Fleming - for spectral classification outlined in the Draper Memorial Catalogue of 1890 (with the 'M' stemming from the fact that Secchi's class I and II stars were divided into eleven subclasses, A to K, omitting J). This catalogue included 10,351 of the brightest northern stars - a large, but not overwhelming number - and the Harvard system had some competitors, notably Lockyer and Vogel. However, as Hearnshaw explains, Pickering's championing of his local system, coupled with the irresistible force of Cannon's classification of the 225,300 stars in the Henry Draper catalogue (1918-1924), led to the Harvard spectral types becoming the de facto astronomical reference system by the 1920s. Early spectral catalogues, based on visual or photographic data, were restricted to stars with bright apparent magnitudes. As a result, almost all M stars in these catalogues are giants rather than dwarfs. This became apparent only after Hertzsprung [H5] and Russell [R5] independently arrived at versions of the diagram that bears their names. Plotting luminosities against a temperature indicator (colour indices in Hertzsprung's case [H6], and spectral types by Russell [R6]) produced the wishbone-shaped diagram with 'giants' and 'dwarfs' (named by Russell) and a 'main sequence' (defined by Hertzsprung from his observations of Hyades and Pleiades cluster members). Figure 2.1 shows the modern incarnation of this diagram, based on stars with parallaxes measured by the ESA Hipparcos satellite. 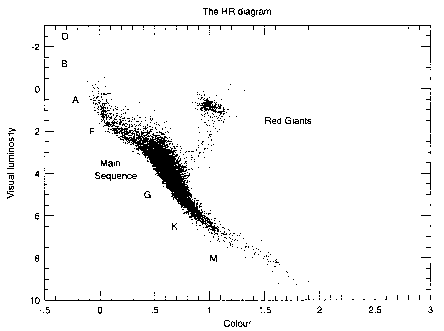 The initial H-R diagrams included few late-type (cool, low-mass) dwarfs, but nevertheless demonstrated that luminosity decreased with later spectral types along the main sequence. The Harvard system provided a ready means of comparing the general properties of many stars, but only in an approximate fashion. Its utility was limited by its dependence on internal classification criteria: that is, the relative strengths of lines and bands in the programme star (H^ against CN, for example) were measured and compared against a reference list of line ratios, and the spectral type assigned based on that comparison, rather than by matching against a set of standard stars. Moreover, the final calibration was rather coarse, with each spectral class spanning a wide range of physical properties, particularly with spectral type M. At Mount Wilson, Adams attempted to address the latter problem by adding a numerical qualifier, based on the absolute magnitude estimated from the relative strength of individual spectral lines. However, this approach had the unfortunate consequence that a change in the absolute magnitude calibration changed the entire spectral type scale. Figure 2.1. The Hertzsprung-Russell diagram, as defined by stars with parallaxes measured to an accuracy of better than 10% by the ESA Hipparcos satellite [El]. spectral types with respect to a set of particular standard stars. Spectra of programme stars are classified by comparing the relative strength of specified features within a particular wavelength range (initially 3,930-4,860 A) against observations, taken to the same signal-to-noise and at the same dispersion, of the standard stars. Moreover, the MK system added a formalised definition of luminosity class, with types I, III and V replacing the intermittently-used 'c' (narrow-lined), 'g' (giant) and 'd' (dwarf) qualifiers. The initial grid of standards was laid out in the MKK atlas of stellar spectra [M8]. The overall success of the system can be judged by its continued use (albeit in modified form) in current astronomical research. Many of the subsequent modifications and improvements have centred on the treatment of M dwarf stars. Spectral classification is based purely on morphology - regularities in the appearance and disappearance of particular spectral features. The expectation is that a well-designed system, ranked by spectral variation, is also based on physical properties. Spectral type therefore provides a shorthand method of describing the overall physical characteristics of a given star, although it should be emphasised that the physics (why stars show spectral variations) post-dates, and is independent of, the definition of the classification system. The traditional method of defining a spectral classification system is to take observations of an ensemble of stars - preferably of known absolute magnitude and luminosity class - and identify several key spectral features, prominent enough to be recognised easily, that show smooth behavioural trends when the individual spectra are suitably arranged. Thus, the hydrogen Balmer-series lines increase in strength from type O through B to type A, subsequently diminishing in strength through types F, G and K. Earlier (OB) and later (FG) stars can be distinguished by considering other features, such as the presence and strength of He I lines, the G-band (due to the CH molecule) or the H and K lines due to ionised Ca (Ca II). The TiO bands that dominate optical spectra of M stars are an obvious choice as a primary indicator of spectral type. The next operational step in defining a workable classification system is to set up a grid of standards. Early observations were limited to stars with relatively bright apparent magnitudes, and, as a result, included few late-type M dwarfs. Moreover, most photographic observations before the 1940s were confined to the blue-green region of the spectrum, where spectral features saturate rapidly with decreasing temperature. As a result, the first MK system is of limited utility in M dwarf classification. Recognising these limitations, the MK system was originally defined only for main sequence stars earlier than type M2. With the development of larger telescopes and more efficient spectrographs and detectors, observations of later-type dwarfs accumulated, and it became necessary to extend the classification to these cooler dwarfs. However, with no generally accepted guidelines, several mutually incompatible systems arose. The two most widely used were the Yerkes system, developed by Morgan [M7] and Kuiper [K10], and tied primarily to the strength of TiO bands between 5,800 and 6,500 A; and Joy's Mount Wilson system, which took TiO band-strength in the blue spectral regime as the main indicator of spectral type. Based on different criteria at different wavelengths, these systems diverged in their classification of the later-type M dwarfs. The star Wolf 359 was classed as type M8 by Morgan, but as type dM6e by Joy. Thus it was necessary to determine what system had been used to classify a star before observations of different M dwarfs could be compared. 1 Those observations concentrate on the nearest stars, most of which are identified either by their number in Willem Luyten's catalogue of stars with annual proper motions exceeding 0.5arcsec (the Luyten Half Second Catalogue, designated LHS, as in LHS 2924), or by their number from the nearby star catalogues compiled by Wilhelm Gliese and Hartmut Jahreiss (designation Gl or GJ; for example, Wolf 359 is Gl406, the 406th star in Gliese's 1969 catalogue [G5]. Figure 2.2. Blue-green optical spectra of M dwarfs, illustrating the main features used to calibrate spectral type. Prominent molecular bands and atomic features have been identified. of spectral features in the range 6,300-9,000 A and on the overall spectral slope across these wavelengths. Classification is through least-squares matching of flux-calibrated spectra against observations, made at the same resolution, of an extensive grid of standards. All spectral features contribute to some extent to the final type determination. However, most of the weight in the calibration rests with the stronger molecular bands (titanium oxide, vanadium oxide and calcium hydride), and the strength of individual features can be used to define a scale that approximately matches the KHM system. For example, measurements of the depth of the 7,050 A TiO bandhead provide spectral types for dwarfs earlier than type M6 (where the bandhead saturates), with the observations calibrated against data for KHM standard stars [R2]. Figure 2.3. Red optical spectra of M dwarfs, illustrating the main features used to calibrate spectral types. strength for earlier-type M dwarfs and on VO for the later-type stars where the TiO bands saturate. There is reasonable agreement (~0.5 spectral classes) with the KHM system in the former case, but Bessell assigns systematically earlier types to the later VLM dwarfs: for example, Gl 752 B (VB 10) is type M8 on the KHM system, but type M7 on Bessell's system. The more widely used KHM system is adopted in this book. Figures 2.2 and 2.3 present optical spectra of representative K and M dwarfs, covering the blue-green and far-red wavelength regions, and identifying the principal spectral features. There are obvious correlations in the strength of individual lines and bands with changing spectral type. TiO is present, but weak, at type K7, and grows in strength until type M6, where most of the bandheads saturate. Bands due to several metal hydrides - MgH, FeH and, particularly, CaH - also first become detectable among K7 stars and grow in prominence with later spectral type. At approximately the same temperature as the redder TiO bands saturate, VO becomes evident at 7,330-7,530 A. FeH bandheads also appear in the latest spectral types at 7,786, 8,692 and 9,020 A. The strongest atomic lines at these wavelengths are Ca I at 4,227 A, the Na I doublets at 5,890/5,896 A (the D lines, at the long wavelength limit of the blue-greem spectra plotted in Figure 2.2) and 8,183/8,195 A, the K I doublet at 7,665/7,699 A and, to a lesser extent, the Ca II 'infrared' triplet at 8,498, 8,542 and 8,662 A. The last mentioned decline in strength towards later spectral types, besides being more difficult to detect as the 8,432 A TiO bandhead increases in strength. The other atomic features show a general increase in strength, although Ca I 4,227 A is swamped by TiO absorption at later spectral types. The KI doublet narrows in equivalent width between ~M7 and M9.5, before broadening dramatically at later types. 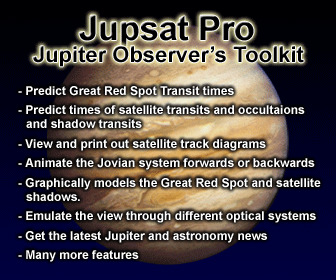 Detailed M dwarf spectroscopic atlases are provided by Kirkpatrick et al. [K2], [K3] and, for the latest M spectral types, Tinney and Reid [T1]. M dwarfs were long regarded as defining the lowest extremities of the hydrogen-burning main sequence - the Ultime Thule of the H-R diagram. However, the marked improvement in sensitivity of wide-angle photometric surveys, particularly at near-infrared wavelengths, has resulted in the detection of increasingly fainter and cooler low-mass dwarfs. The most extreme of those objects have spectral characteristics which cannot be accommodated in class M, requiring the definition of a new spectral class - the first for almost half a century - class L.
The first L dwarf, discovered in 1988, was GD 165B, an extremely red, low-luminosity companion of a DA white dwarf [B2]. Initial spectroscopic observations [K4] suggested puzzling dissimilarities between this dwarf and well studied late-type M dwarfs, such as VB 10, LHS 2924 and LHS 2065. However, with only a 2.3-m telescope, the signal-to-noise in the available spectrum was low, while the much brighter white dwarf companion limited coverage to longward of ^7,500 A. Finally, the (remote) possibility was raised of significant atmospheric contamination by metal-rich ejecta during the asymptotic giant branch or planetary nebula evolutionary phase of the degenerate companion. Thus, GD 165B was, by-and-large, considered a unique oddity. 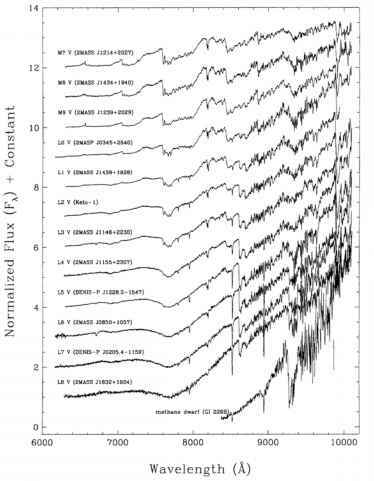 Nonetheless, the quest for lower-temperature, lower-luminosity dwarfs continued, spearheaded by Kirkpatrick, Henry and collaborators, who compiled samples of 'ultracool' (>M7) dwarfs from proper motion catalogues [K5]. As described in more detail in Chapter 6, the breakthrough came in 1997. 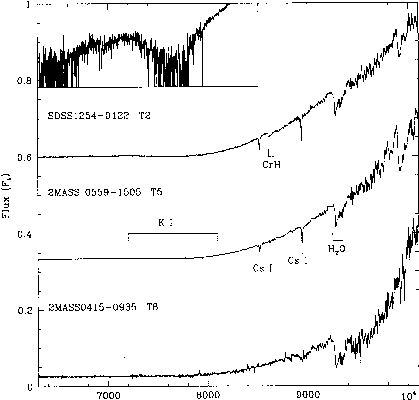 First, follow-up spectroscopy of candidate late-type dwarfs in the general field, selected using near-infrared photometry obtained with the prototype camera for the 2-Micron All-Sky Survey (2MASS, [S6]), resulted in the identification of one extreme ultracool dwarf, 2MASSP J0345432+254023, initially classed as type >M10 [K6]. Shortly thereafter, Ruiz et al. [R4] discovered a faint proper motion star, named Kelu 1 (Kelu is Mapuche for red), with an unusual optical spectrum, reminiscent of GD 165B. The trickle turned into a flood with the first results from the wide-field near-infrared sky surveys, DENIS and 2MASS. Spectroscopy of ultracool candidates from the DENIS brown dwarf mini-survey [Dl] revealed three isolated dwarfs with spectra similar to GD 165B. Similarly, follow-up observations of colour-selected candidates from the 2MASS survey resulted in the identification of more than 85 such objects between August 1997 and July 1999 [K8]. Subsequent studies, based mainly on data from either the Sloan Digital Sky Survey (SDSS - F4, S7) and 2MASS (C3, C4), have more than tripled the current sample. Many of these follow-up observations have the advantage of the unparalleled light grasp of the Low Resolution Imaging Spectrograph [Ol] on the Keck 10-m telescope, but even so, many L dwarfs are too faint to observe at A < 7,000 A. With more than 300 L dwarfs now known, GD 165B has been transformed from an oddity to a prototype. doublet is particularly interesting, broadening in a pronounced fashion at spectral type L4. The two components are essentially indistinguishable, with a combined equivalent width of more than 100 A. The sodium D lines show similar behaviour in the few L dwarfs bright enough for observation at those wavelengths. The physics underlying these variations is discussed in detail in Chapters 4 and 6. In qualitative terms, dust formation is believed to remove TiO and VO from the atmosphere, reducing the opacity. As a result the photosphere (the stellar 'surface') lies at relatively high depth, where pressure broadening leads to line widths of white dwarf proportions amongst the more abundant species. 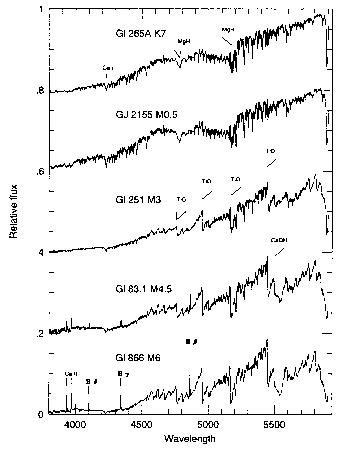 Several of the spectra plotted in Figure 2.4 exhibit an absorption line at 6,708 A (for example, 2MASS J1146+2230 and 2MASS J0850+1057). This feature is due to lithium and, as explained in Chapter 3, identifies these objects as having masses below 0.06 M0 - well within the brown dwarf regime. However, the theoretical models described in Chapter 3 suggest that stars with masses below 0.08-0.085 M0 can reach temperatures lower than the likely M dwarf/L dwarf boundary (^2,000 K). Thus, early-type L dwarfs are a mixture of very low-mass hydrogen-burning stars and degenerate brown dwarfs. The discoveries made in the mid-1990s managed to exhaust even the L dwarf classification. As will be discussed further in Chapter 6, a new species of brown dwarfs was uncovered with the identification of Gl 229B, a very low luminosity companion to a M0.5 dwarf lying only 5.5 parsecs from the Sun [N1]. That object is characterised by strong methane absorption at near-infrared wavelengths, similar to spectra of the giant planets in the Solar System. This radical change in properties separates Gl 229B from L dwarfs, and marks it as the prototype of spectral class T.
All T dwarfs are substellar-mass brown dwarfs - the effective temperatures are too low to accommodate any central hydrogen fusion. These objects have extremely low luminosities (<10~5 L0), and, as a result, the discovery of other examples has proceeded at a much slower rate than for the brighter L dwarfs. Nonetheless, the SDSS [S8, L10] and 2MASS [B8, B9] surveys have combined to catalogue more than 60 confirmed T dwarfs by late 2004 (see Section 6.6.2). The T dwarf classification system rests mainly on the spectral morphology at near-infrared wavelengths (1-2.5 where the methane bands dominate (see Section 2.2.6). At far-red optical wavelengths, the spectra continue the trends evident in the latest-type L dwarfs (Figure 2.6; see also [B10]). The K I 7,665/7,699 doublet continues to grow in strength, coupling with the Na I D lines to absorb most of the flux shortward of 8,000 A. Chromium hydride absorption is weak, but may still be present in early-type T dwarfs, while rubidium and caesium atomic lines weaken with increasing type, but persist to ~T7. Water absorption at 9,250/ 9,450 A increases in strength in later-type T dwarfs, and the overall shape of the spectrum steepens toward the red from T2 to T8. white dwarfs, elliptical galaxies, supernovae and so on, only five letters - H, L, T, Y and Z - remain as unambiguous spectral type designations. Of those five, L lies closest to M, and T is the next in sequence; Y has already been reserved for even cooler brown dwarfs [K14]. The second issue concerns devising an appropriate mnemonic for the new spectral classification scheme, OBAFGKMLT(Y). This matter is left as an exercise for the reader. The last few years have seen an unexpected addition to the spectral pantheon -carbon dwarfs, forming a parallel sequence to K and M dwarfs in the H-R diagram. Carbon rich giants were noticed first by Secchi in 1868 [S9], who commented that the stellar spectra showed, 'a considerable analogy with the reversed spectrum of carbon' (reversed, since the laboratory carbon spectrum is in emission, while the stellar spectrum is in absorption). Secchi classed these as Type IV in his spectral classification scheme. Fleming included carbon giants in her investigation of 'peculiar spectra', and added most to the Harvard system as class N [F5]. 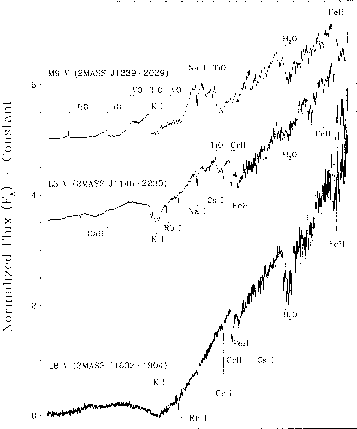 Pickering identified a number of bluer carbon stars, which were assigned to class R. Keenan and Morgan absorbed both sets of stars into the MKK system as type C, classed as C0 to C9 based on the strength of the atomic lines, rather than molecular features [K11]. At the same time, Keenan and Morgan noted the existence of CH stars - carbon stars, 'characterized by unusually great CH intensity'. These prove to be metal-poor halo subgiants (see Chapter 7). 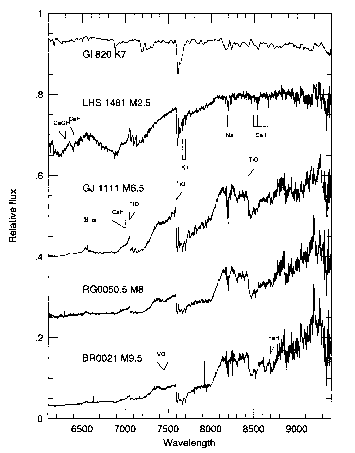 Finally, J-type carbon stars were added to the mix - stars where the C13/C12 isotope ratio is unusually high, leading to strong C13N absorption bands [B14]. The first carbon dwarf - a proper motion star, G 77-61, at a distance of 58 parsecs [D3] - was identified over a century after Secchi first brought carbon giants to the attention of the astronomical community. Only a handful of other dwarf carbon stars were discovered over the next two decades, but follow-up observations of very red stars from the Sloan survey have uncovered increasing numbers within the last few years [M14, D4]. While relatively few have direct distance measurements, it is clear that these stars have absolute visual magnitudes matching those of late-K, early- and mid-type M dwarfs. Optical spectra of typical examples are shown in Figure 2.7. The formation mechanism for carbon giants is well understood. Carbon is a product of the triple-a nuclear reaction (see Chapter 3), where three helium nuclei combine to form one carbon nucleus. This reaction ignites near the top of the red giant branch. During evolution up the second, or asymptotic giant branch (AGB: post Cepheid/horizontal branch evolution), the outer convection zones dip far below the surface and 'dredge up' nucleosynthetic products from the inner regions. Those products change the chemical composition of the outer envelope. Carbon bonds strongly to oxygen to form carbon monoxide. Once the number of carbon atoms exceeds the number of oxygen atoms in the stellar envelope (C/O > 1), effectively all of the oxygen is bound in CO, so none is available to bond with titanium to form TiO and produce the characteristic M-type absorption spectrum. As a result, the optical spectrum is dominated by molecular carbon (C2), CH and CN. Which spectral series in hydrogen atom ki spectral line of 4860 degree?